Contact your Ticor Title Sales Executive or Customer Service. Put the ProSeries to work for you today! Ticor Elite is your revolutionary residential advantage tool, which allows you to pull walking farms on the go! Along with real time stats, this powerful tool shows the count and farm turnover. Ticor Elite combines both our walking farm and our profile app all-in-one, allowing you to maximize your productivity on the go. 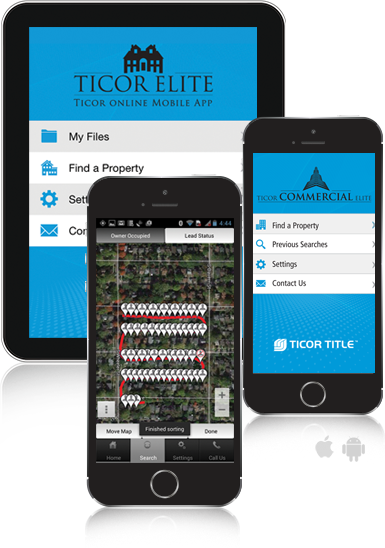 Ticor Commercial Elite is the dedicated app for commercial properties. 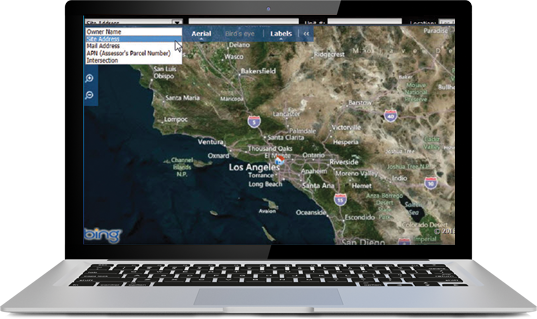 Get immediate access to valuable information on the spot. Retrieve document images, such as the Notice of Default (NOD), Notice of Trustee Sate (NTS), and Real Estate Owned (REO). Create a Walk Order from start to finish on the map, which will order your farm neighborhood for easy walking. Since Walking Farm is part of Ticor Elite no need to download another app, and you can instantly pull full Property Profiles directly from any Farm Property. Target a property with your camera to get a profile. Or, use your location to select a nearby profile, or simply search by address. Dont know the address Search by name, or APN. *The statements made on this web page and any page that follows within the Ticor Property Data website are not intended, and shall not be construed to expressly or impliedly issue or deliver any form of written guaranty, affirmation, indemnification, or certification of any fact, insurance coverage or conclusion of law.